Germany's lower house of parliament passes a resolution to protect the religious circumcision of infant boys. Germany's lower house of parliament passed a resolution on Thursday to protect the religious circumcision of infant boys, after a district court ban on the practice outraged Muslims and Jews and sparked an emotional debate in the country. The new law would overrule the Cologne court decision, the report noted. Lawmakers noted in the resolution that the court ruling had deeply unsettled Muslims and Jews in Germany, as they feared the practice would now be outlawed, while doctors were alarmed at the threat of prosecution if they performed operations. “Jewish and Muslim religious life must continue to be possible in Germany. Circumcision has a central religious significance for Jews and Muslims,” the resolution stated. An overwhelming majority of lawmakers voted in favor of the resolution, according to the Reuters report, although the small opposition Left party opposed it, suggesting that infant boys could have a “symbolic circumcision” then undergo the actual operation when older. Muslims and Jews banded together last week to ask the German parliament to overrule the court ban on circumcision. There are approximately four million Muslims and 150,000 Jews living in Germany. 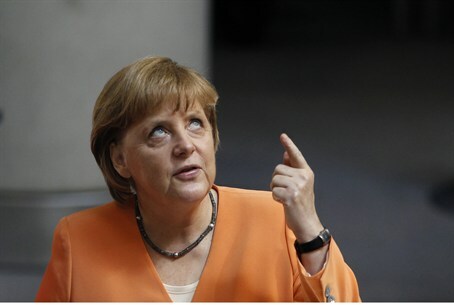 On Tuesday, German chancellor Angela Merkel told her party that Germany risked becoming a “laughing stock” over the court ruling. Merkel's spokesman Steffen Seibert said last week the German government would take quick action to protect the right of Jews and Muslims to circumcise baby boys on religious grounds. Israel's ambassador to Germany welcomed the plans to pass the resolution.